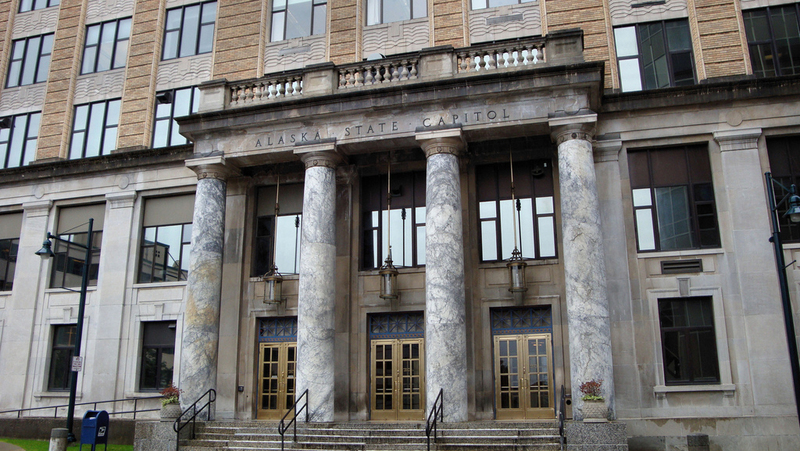 Alaska's Capitol building in Juneau. Photo by Thom Watson on Flickr (noncommercial use permitted with attribution / share alike). 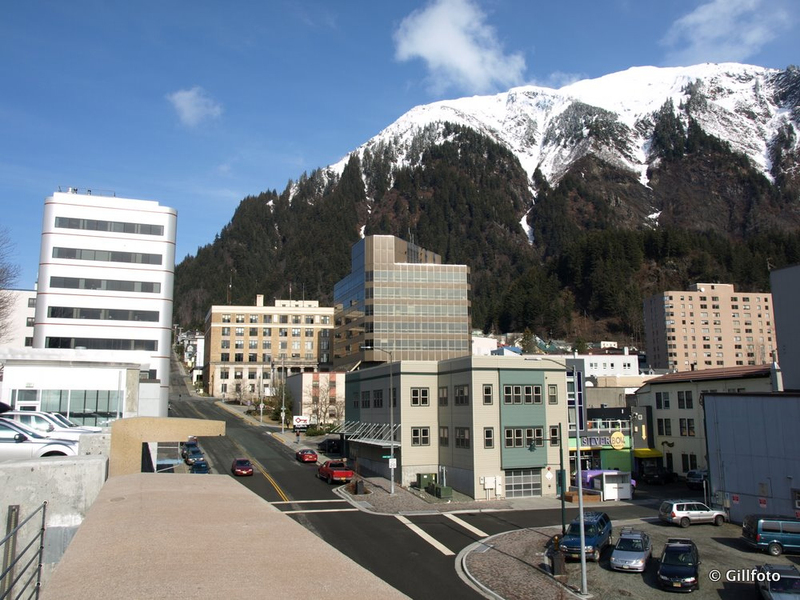 Downtown Juneau, Alaska. Photo by Kenneth J Gill on Flickr (noncommercial use permitted with attribution / share alike). 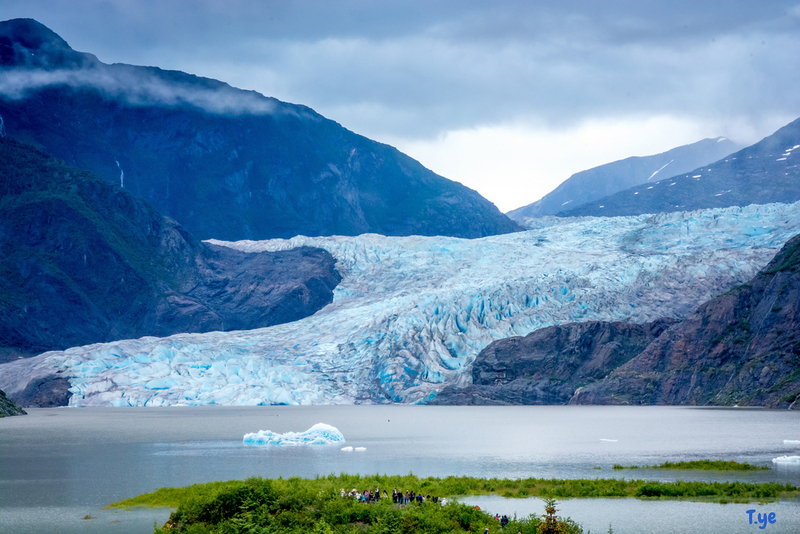 Mendenhall Glacier in Juneau, Alaska; notice the people below for scale. Photo by Todd Ye on Flickr (noncommercial use permitted with attribution / share alike). 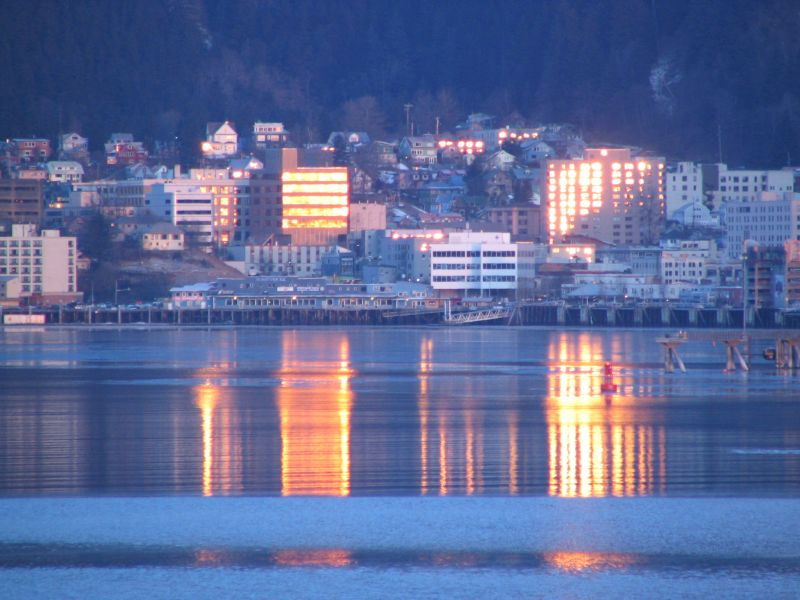 Juneau, Alaska at dawn. Photo by Daniel Cornwall on Flickr (noncommercial use permitted with attribution / share alike).